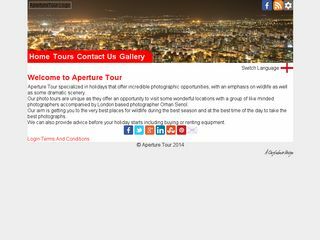 Aperture tour, was a tour company based in Croydon, London, they used our content management system in multilingual mode with English, German and Turkish as languages. 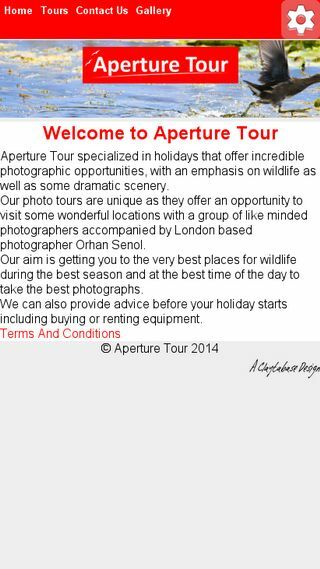 Aperture Tour was a website for a local photographer who arranged tours to the continent based in Croydon. When he moved he decided to stop providing the service. It was a fully compliant multi-lingual website in English, German and Turkish, and designed with mobile optimisation in mind.